Discover the Shops & Restaurants That Make Garrettsville Great! Take a village located in the heart of the Western Reserve, add a group of motivated business owners, and you have the makings of an amazing promotional campaign designed to encourage and reward people who explore everything the Garrettsville Area has to offer. Beginning May 1st and running through August 31, you will have the opportunity to not only see what Garrettsville has to offer, but get involved and enter our “Discover Garrettsville” contest for a chance to become one of the lucky winners who will receive a Discover Garrettsville prize pack valued at over $200 per drawing! 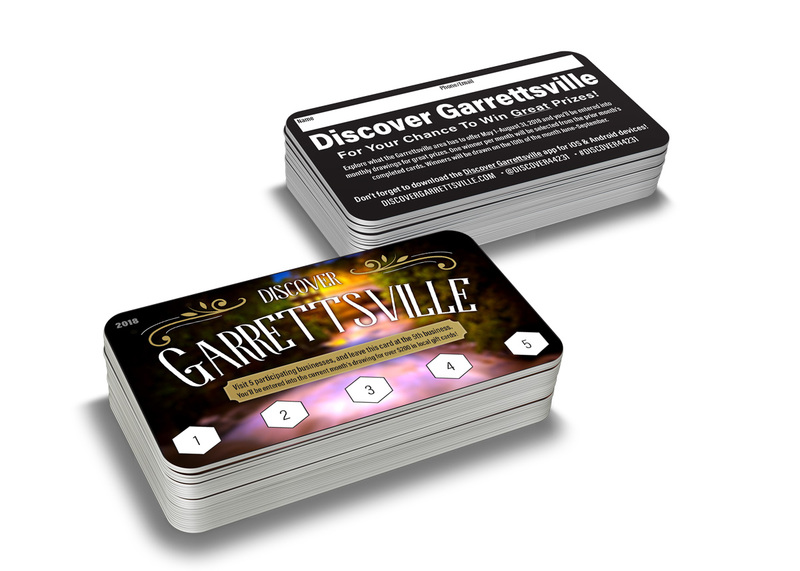 Entering the “Discover Garrettsville” contest is fun and easy. Simply pick up a card at any participating business and have your card punched at five retail or dining establishments before submitting your entry. Each month we will select one winner from the previous month’s completed cards – our first drawing will be June 10th, with the final drawing taking place on September 10th.